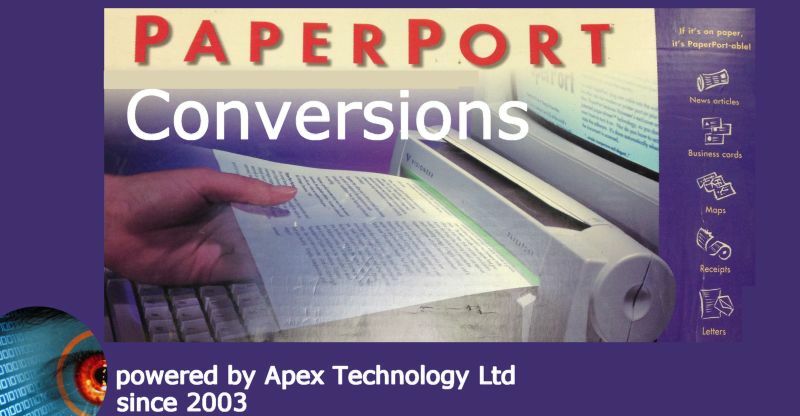 Paperport (by Scansoft, Nuance and sold with Visioneer scanners) require conversion to view as pdf .max jpg files. The scanned images are usually stored as .max files, however early versions used to store a different format and these can be difficult to import into more modern versions of Paperport eg Nuance v14 v13 v15 etc. If you need a Paperport conversion transfer extraction import to pdf .max service, then contact our friendly company. Paperport (by Scansoft, Nuance and sold with Visioneer scanners) require conversion to view as pdf .max jpg files. The scanned images are usually stored as .max files, however early versions used to store a different format and these can be difficult to import into more modern versions of Paperport eg Nuance v14 v13 v15 etc. .